3D scans of the artist’s head and face were combined with MRI data defining the brain, resulting in one digital 3D model shown above. 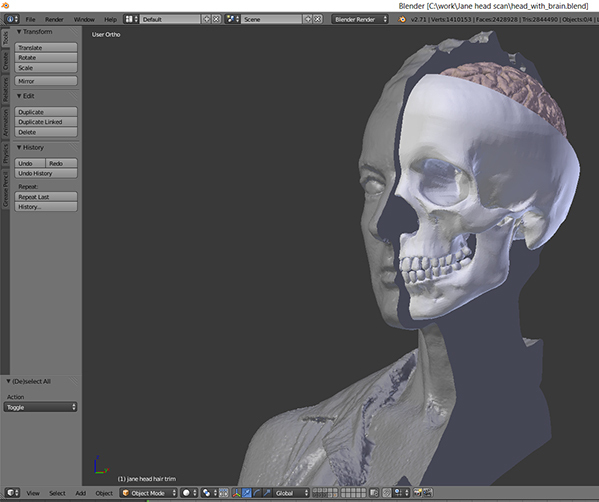 The final model shows a dissected head, recombined with a 3D skull and brain model. The form of the final, life-sized portrait sculpture refers to the Wellcome Trust object, seen here.